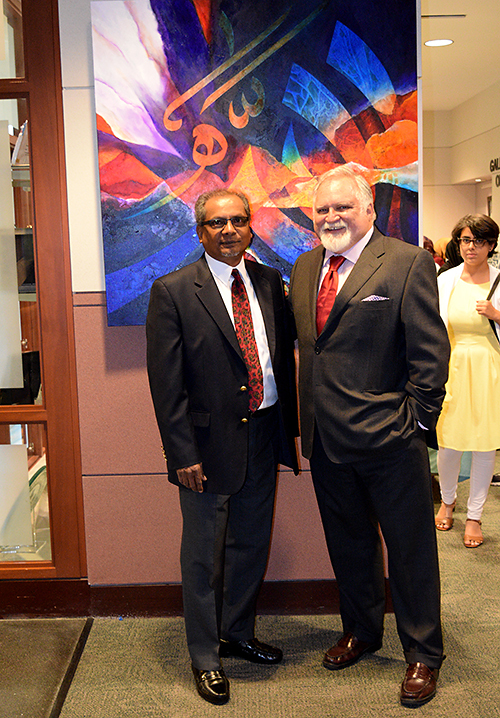 The Loudoun County Art Advisory Committee has organized a new art exhibition, entitled “Bridges of Faith and Traditions,” which is on display at the Loudoun County Government Center through November 4, 2016. The artists whose works are in the show are: Basim Al hashemi, Ahmed Ansari, Noera Ayaz, Leila Elkabli, Hassana Emran, Nabeeha Emran, Sabra Lutz, Maha Mahmood, Salwa Medani, Hamnah Rizwan, Israa Saad, Layla Saad, and Shafia Talat. This entry was posted in Uncategorized and tagged #IslamicArt.